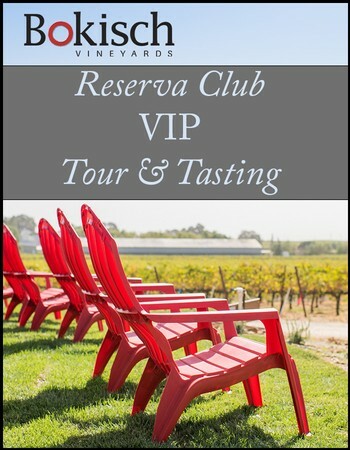 Reserva club members can claim up to 2 free tickets per year for this VIP Tour and Tasting. On this behind the scenes tour of our winery expect to enjoy a variety of wine tastings and Spanish nibbles along the way, with a complimentary wine glass to take home. This exclusive quarterly tour is meant to be an intimate experience custom made with our Reserva members in mind. Each tour is being limited to 20 people. Be sure to make your reservations early to get the tour date of your choice!